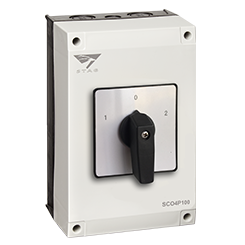 The Stag range of flame-retardant IP65 Enclosed Changeover Switches are IEC EN 60947-3 compliant. 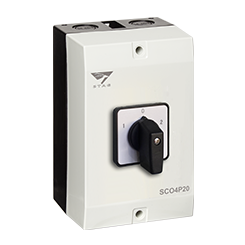 Designed to switch circuits from one set of connections to another, the Stag range of Changeover Switches are suitable for industrial, commercial and residential applications wherever switching between alternate sources of supply is required, such as solar to grid or generator to grid. Made from high quality flame retardant materials, and sealed to IP65 rating, the enclosures are supplied with dual 20mm and 25mm gland knock-outs making them just as versatile and effective as our range of enclosed isolator products. 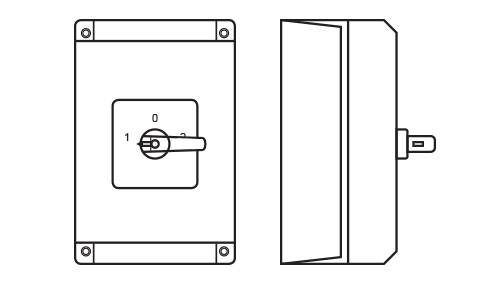 The range is IEC60947 compliant and available in 4 pole from 20A to 100A as standard.